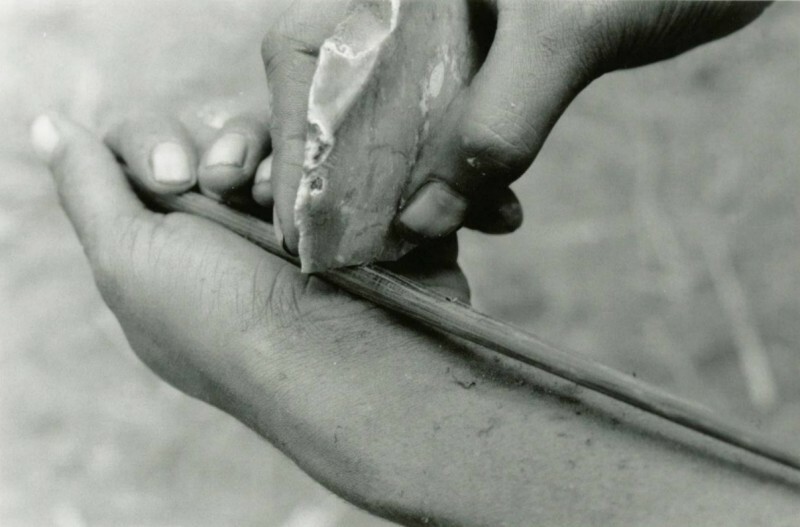 The use of stone for tools comprised two distinct traditions among the Wola and across the highland region. 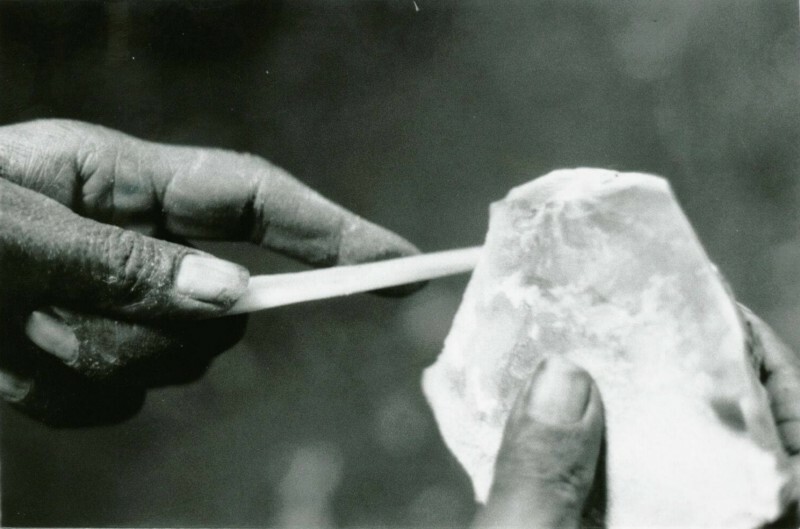 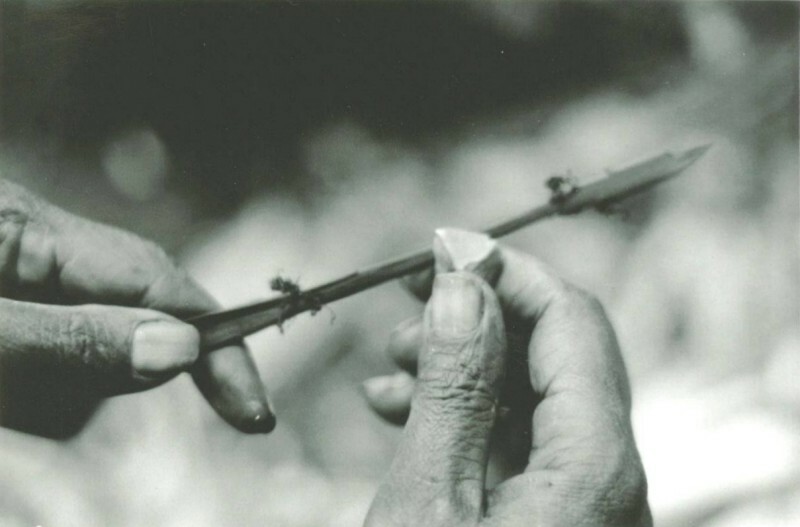 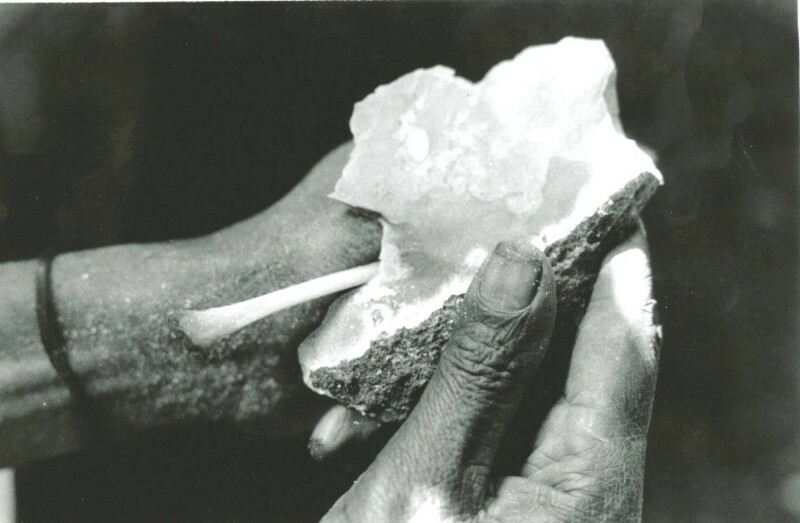 On the one hand, locally available chert was used to manufacture unretouched flake tools. 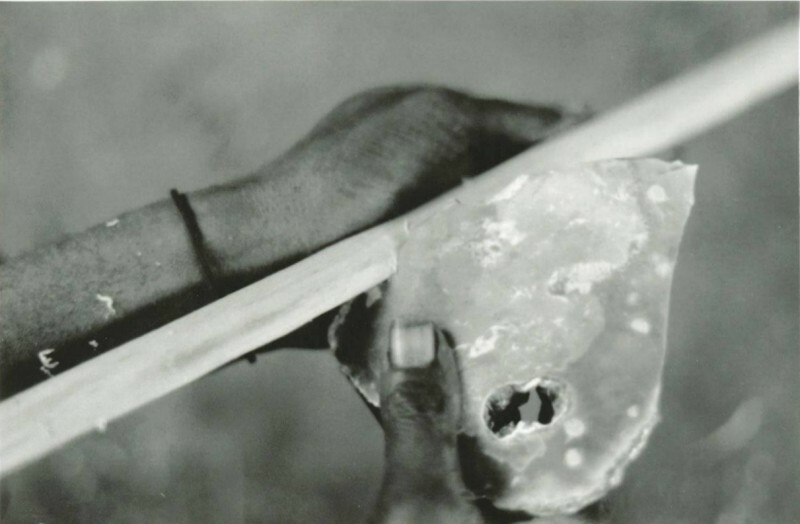 On the other hand, there was the polished stone axe, which ceased to be used as a functional tool soon after westerners arrived in the highlands, to be replaced with steel axes, though ceremonial stone axes are still sometimes used in dances. 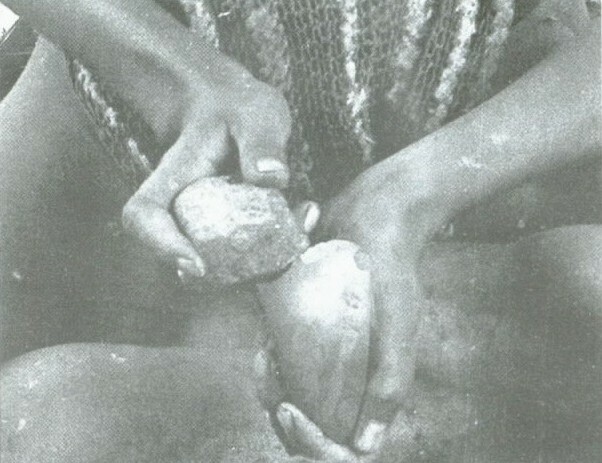 Polished stone axes were imported from other regions of the highlands. 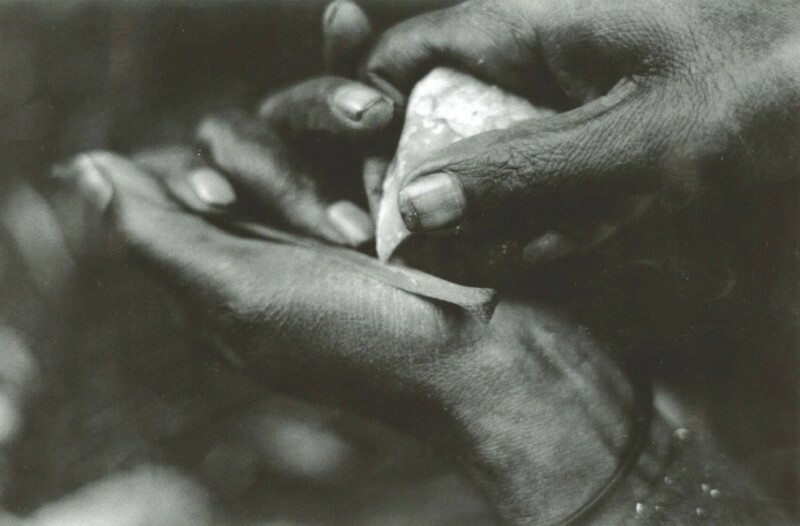 The stone to make polished stone axes does not, to their knowledge, exist in the Wola region. 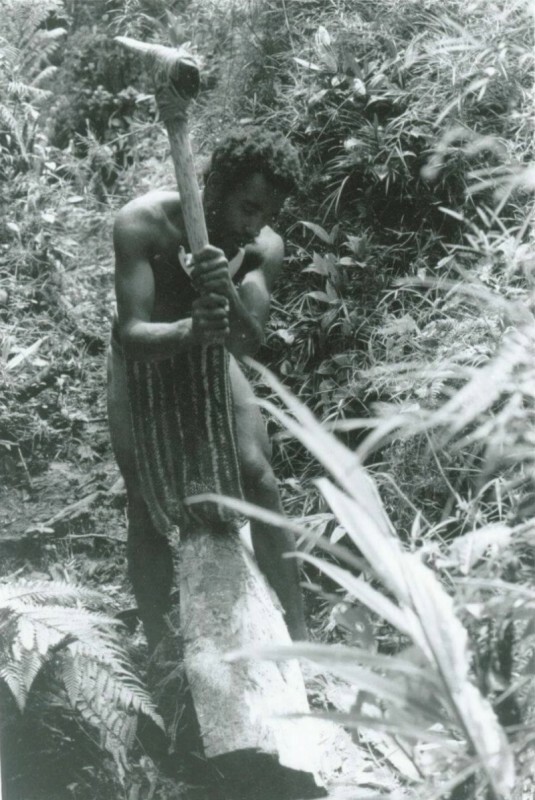 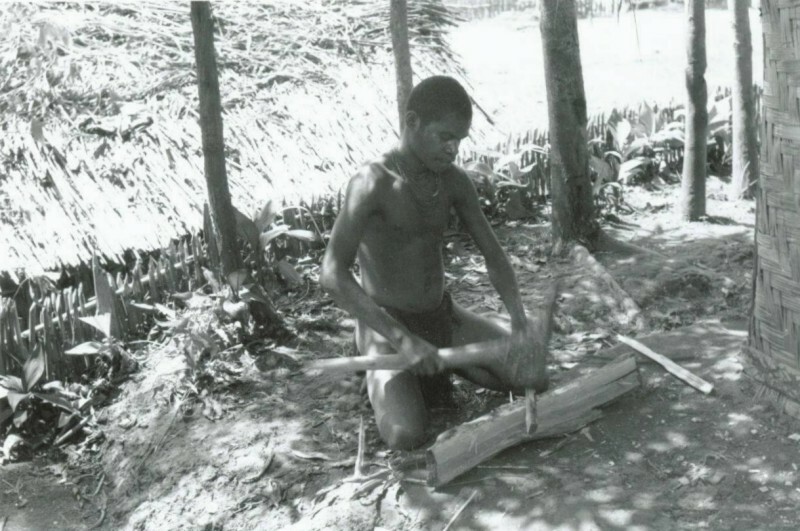 The stone axe was used for a wide range of tasks, both in a primary way, for chopping down trees, bushes and cane grasses, for making fence posts, preparing firewood and other general garden preparation work, and in a secondary way, to manufacture a wide range of other tools (Plates 4, 6-11). 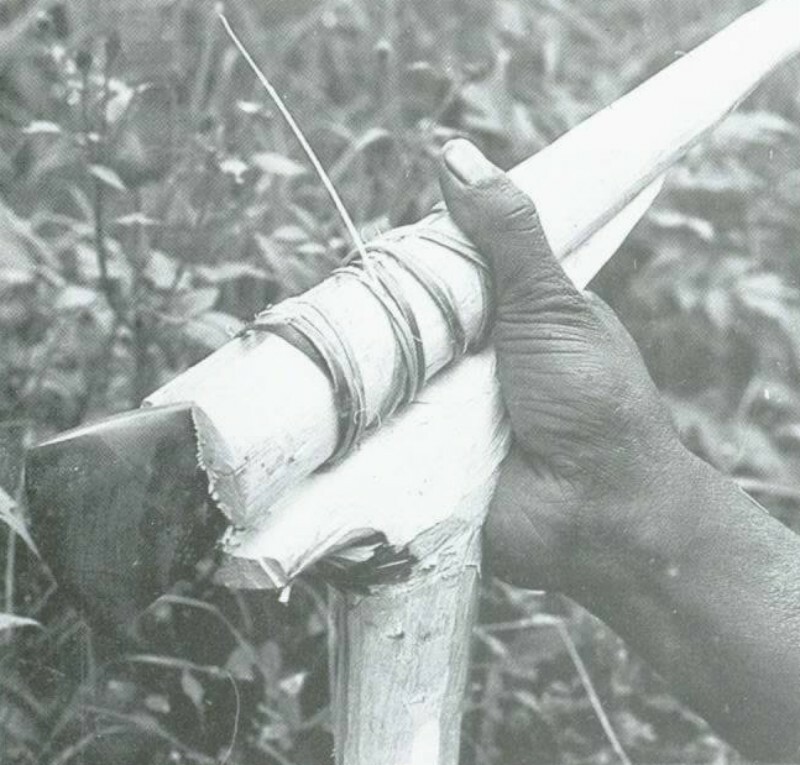 Steel axes have now replaced these. 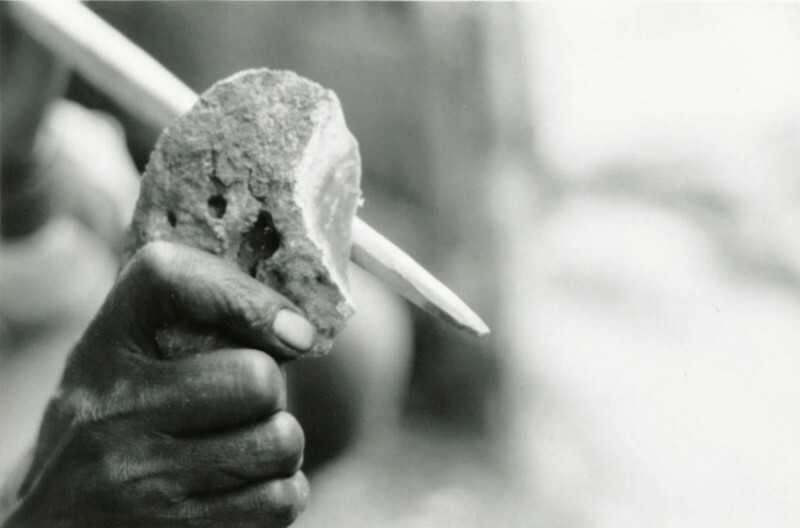 In skilled hands, stone axes are surprisingly effective. 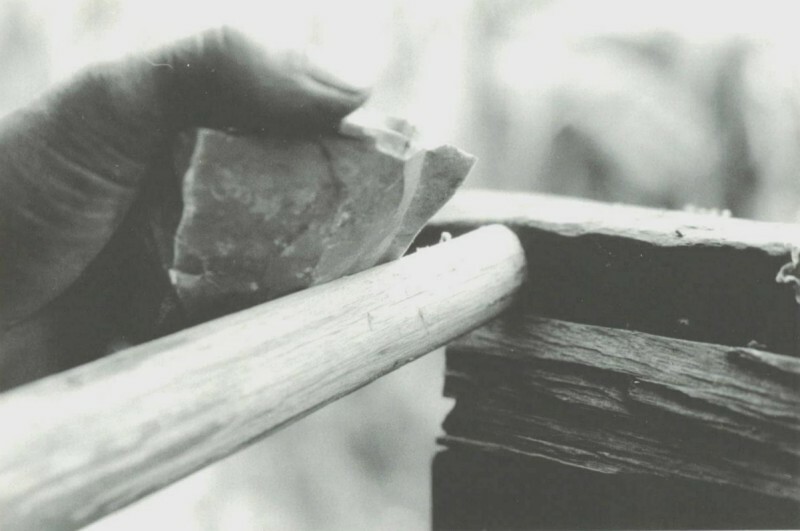 Experiments have shown that the ratio of speed and efficiency in cutting down trees and garden clearing between steel and stone ranges from 4.4:1 (Townsend 1969) to 3-4:1 (Salisbury 1962) to 2.5:1 (Godelier and Garanger 1973) to possibly even less (Sillitoe 1979b). 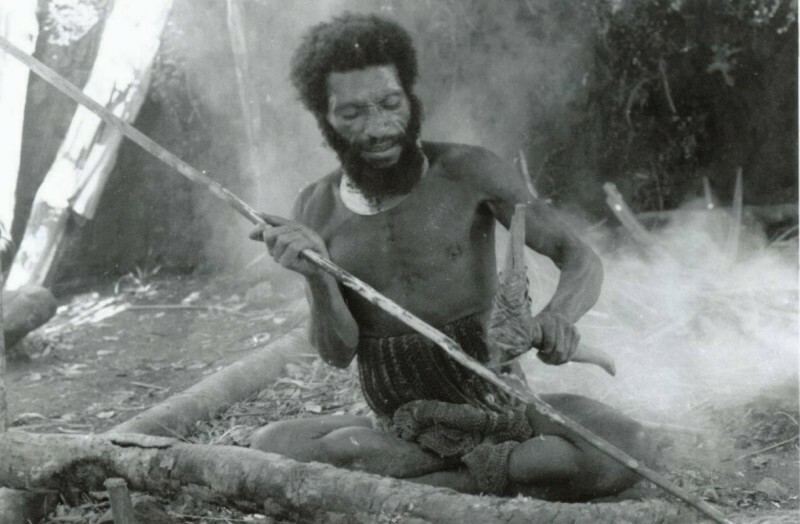 Ornamental axes continue to be used for ceremonial purposes though they are difficult to obtain. 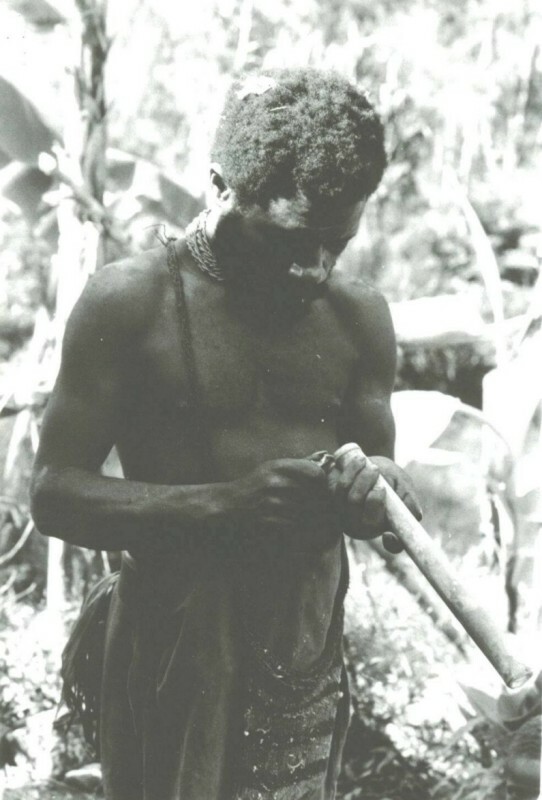 Many axes owned by Wola men had been inherited; as these axes are not used for work, they go on 'for ever' (Sillitoe 1988, 457). 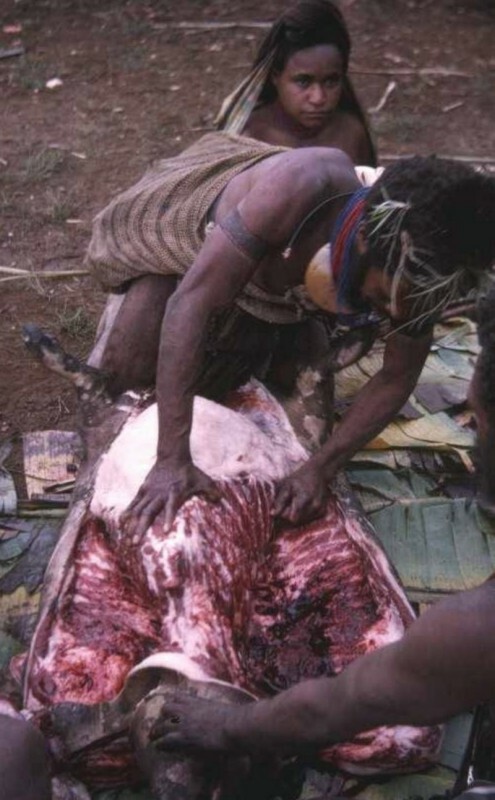 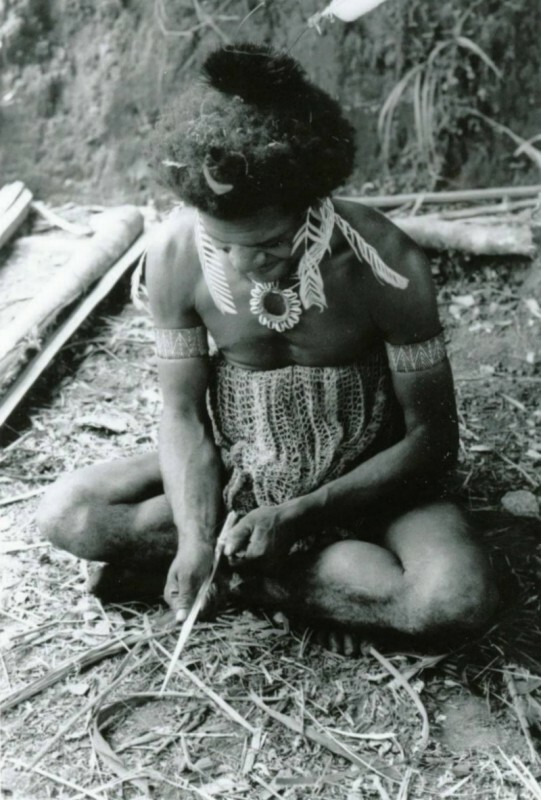 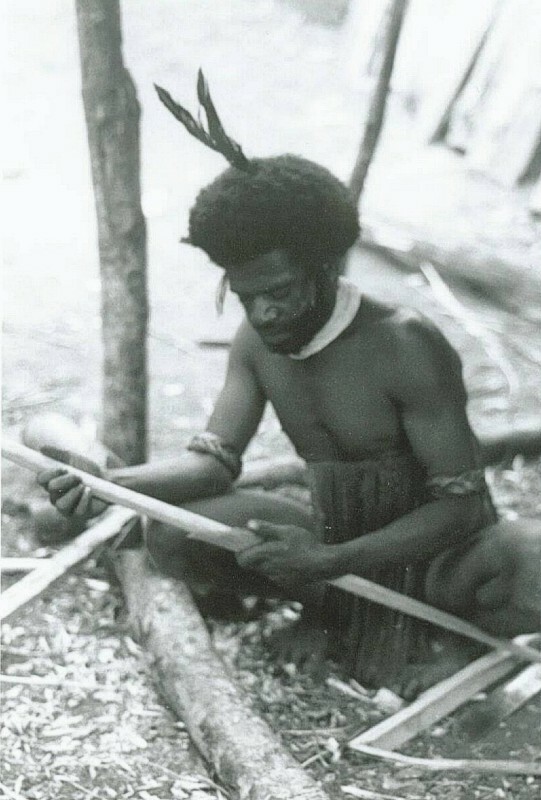 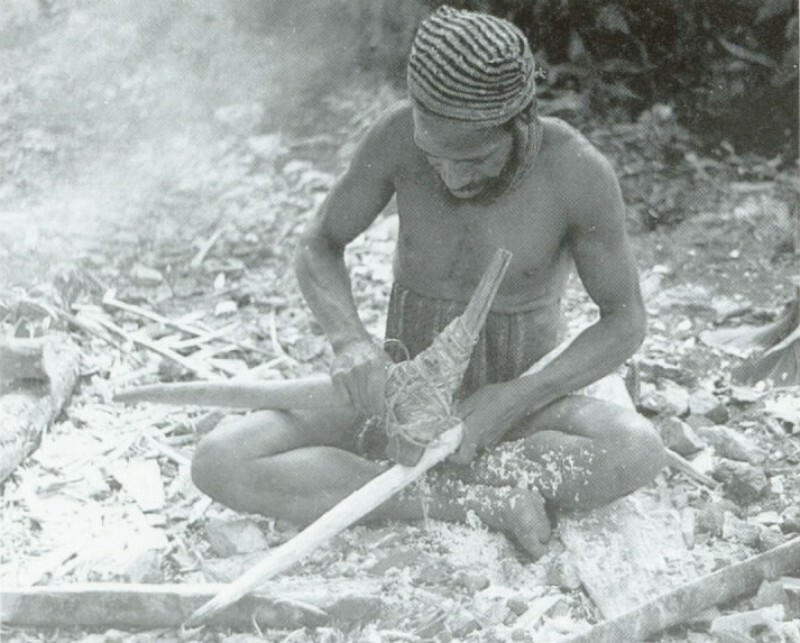 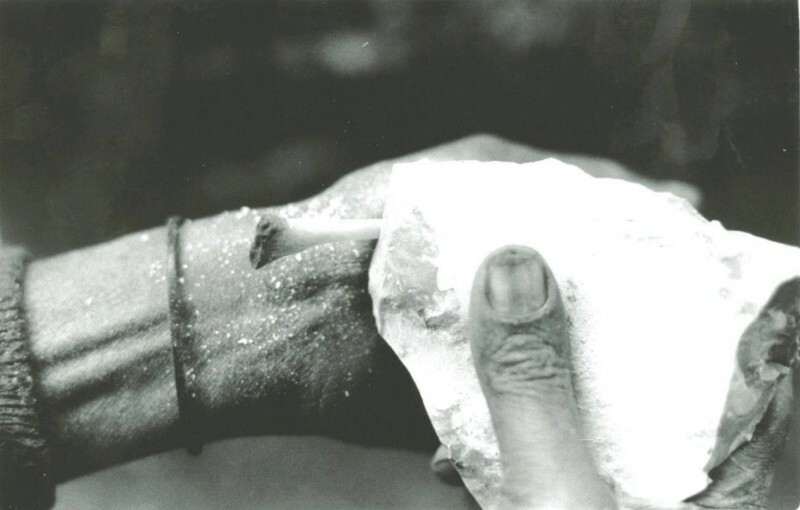 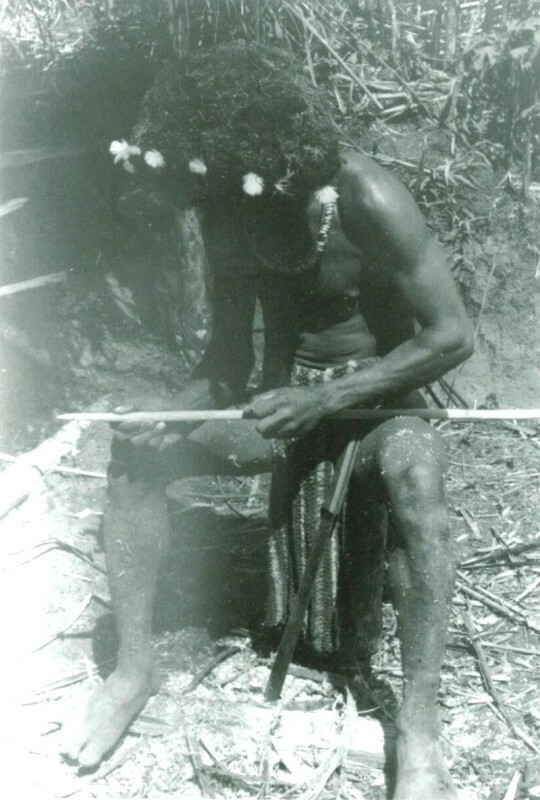 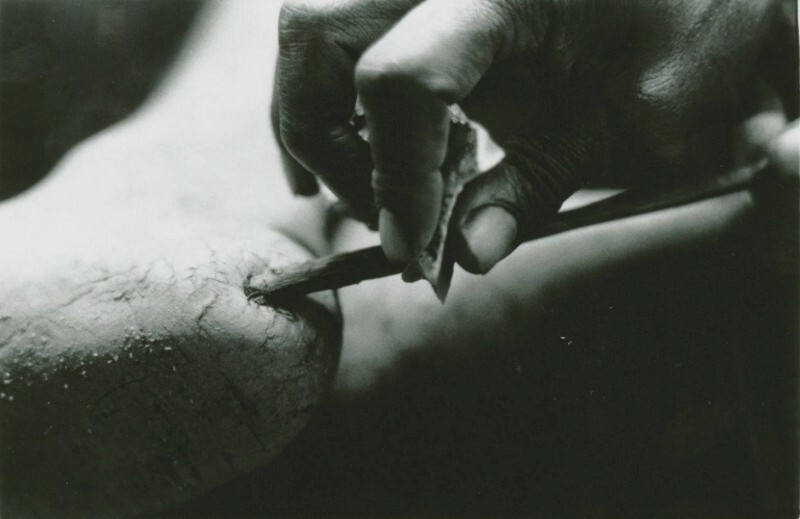 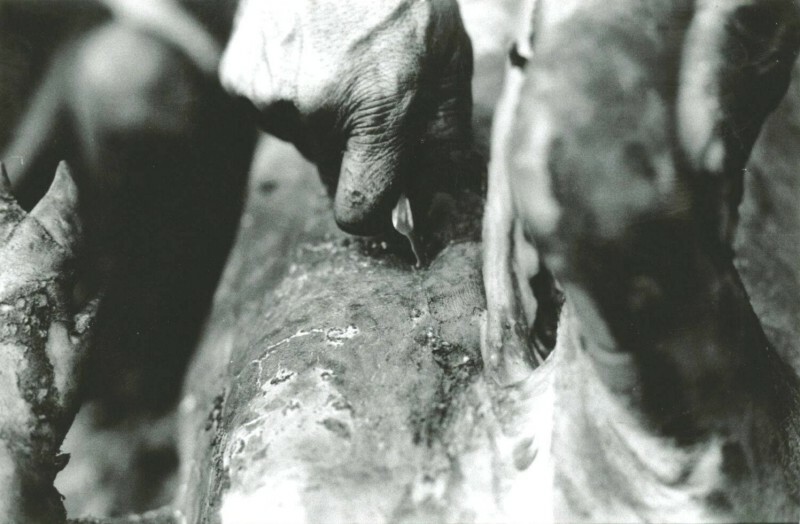 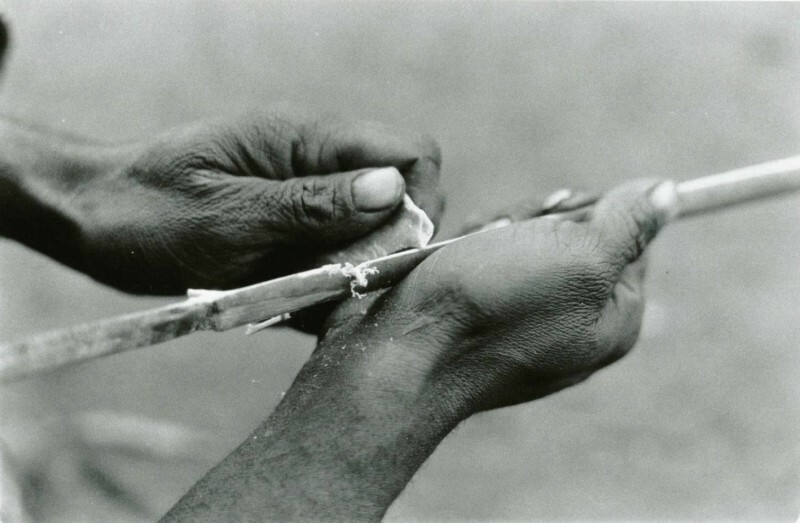 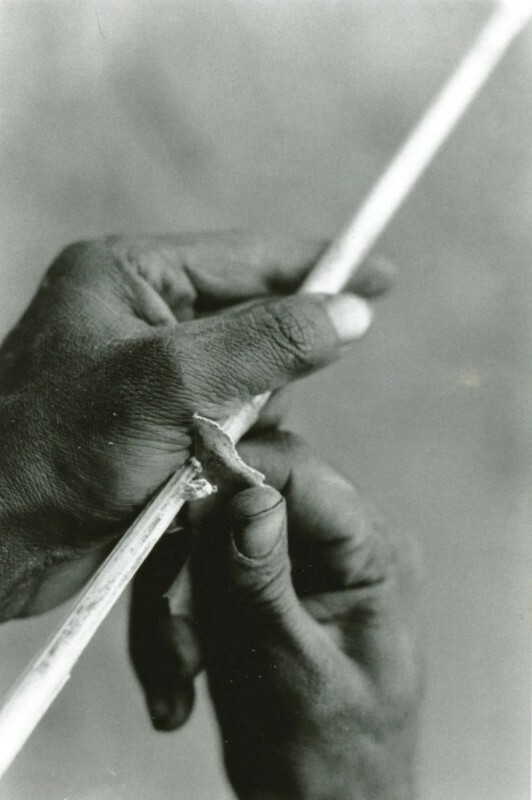 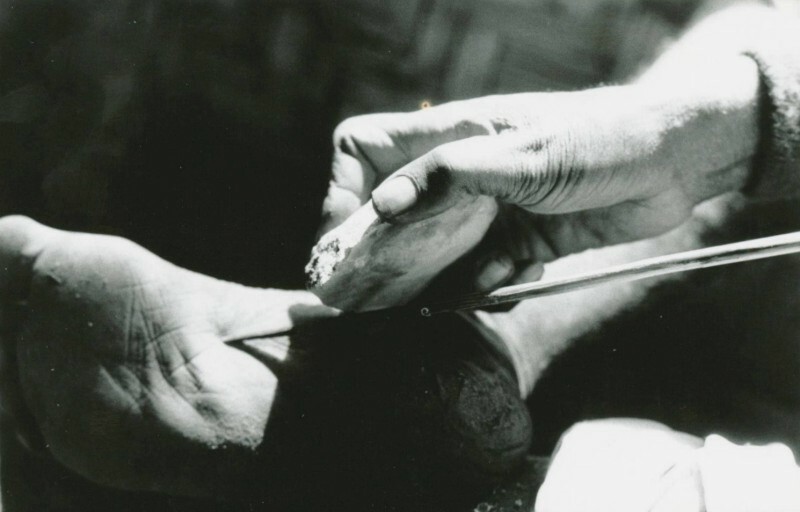 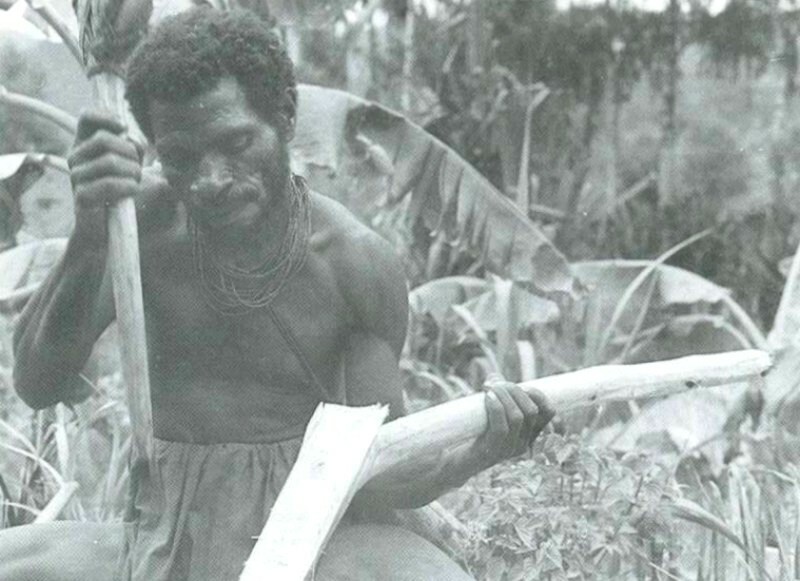 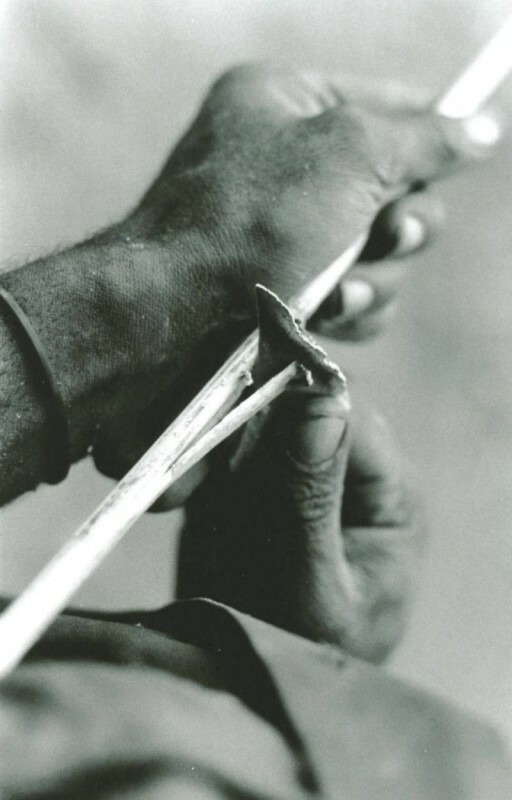 Hampton (1999), working in the highlands of Irian Jaya, records a sophisticated and complex range of sacred uses of stone of which axe heads formed an integral part. 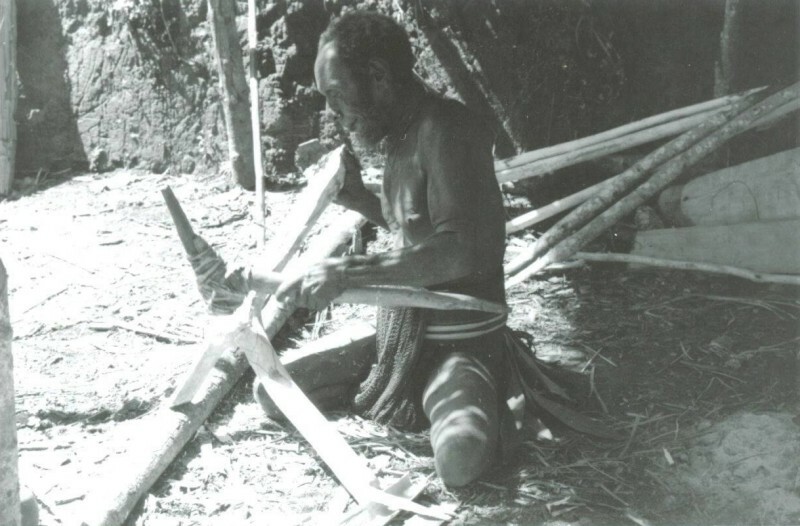 The raw material for these axes came from quarries in various parts of the Highlands, and they were distributed throughout the region as part of a ceremonial exchange and trade network. 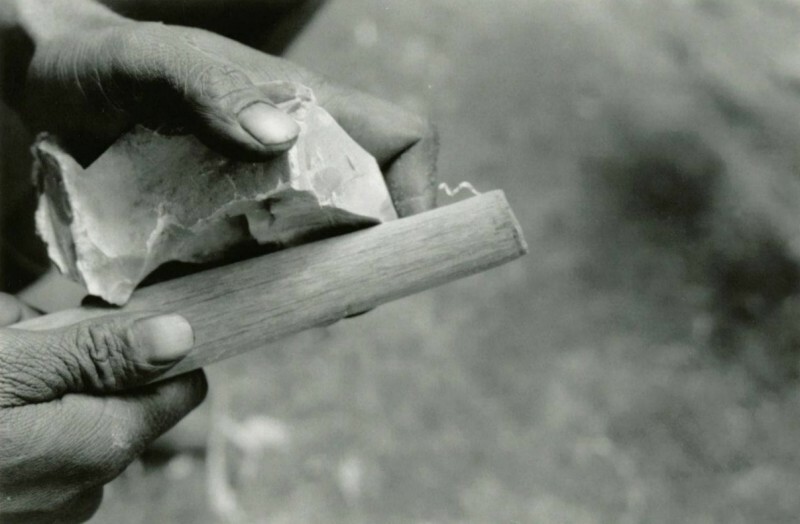 Though the Wola themselves did not make any ground stone items, they were fully aware of the methods of grinding stone and frequently reground and upgraded the sharp edges of their stone axe heads. 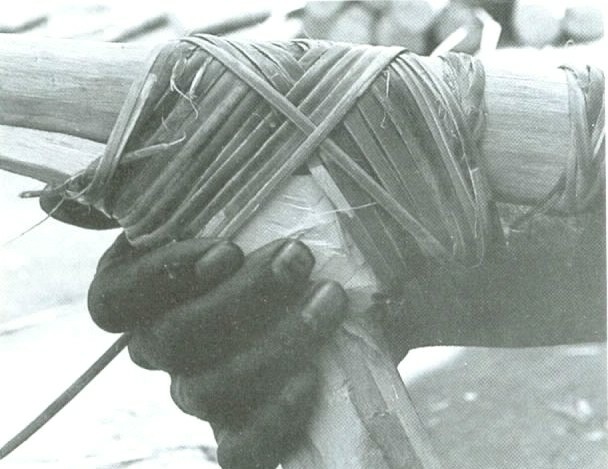 Their method of hafting axes differed to that described for other parts of the highlands, comprising a separate socket and haft bound together, whereas in other places the haft consisted of one piece of wood, cut to shape (Blackwood 1950; Godelier and Garanger 1973; Hampton 1999; Nilles 1942-5; Pospisil 1963; Sillitoe 1979a; 1982; 1988; Strathern 1969). 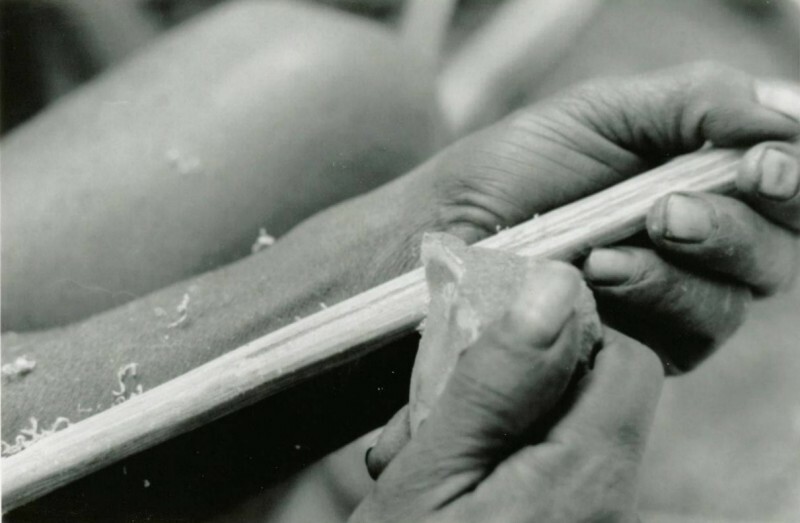 Often the single haft method is arranged as an adze. 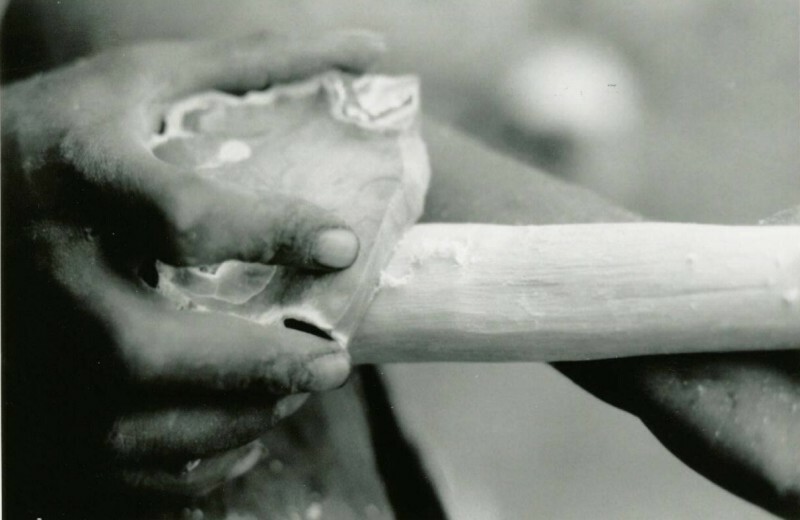 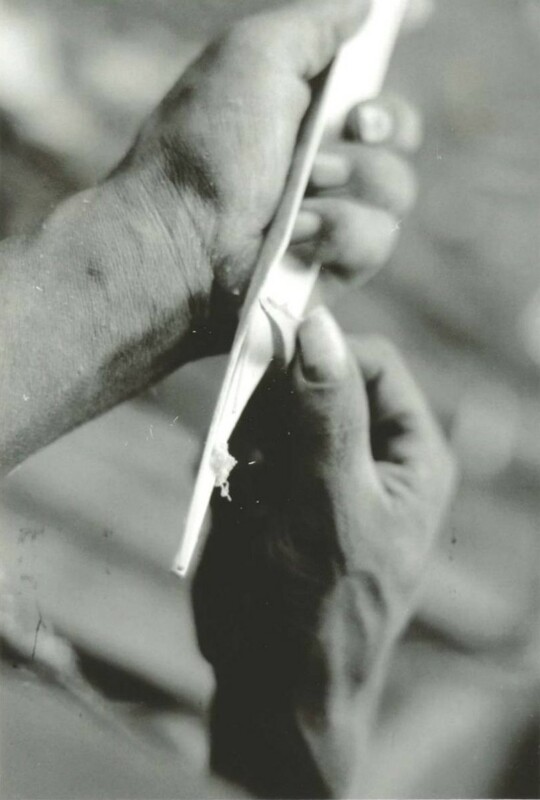 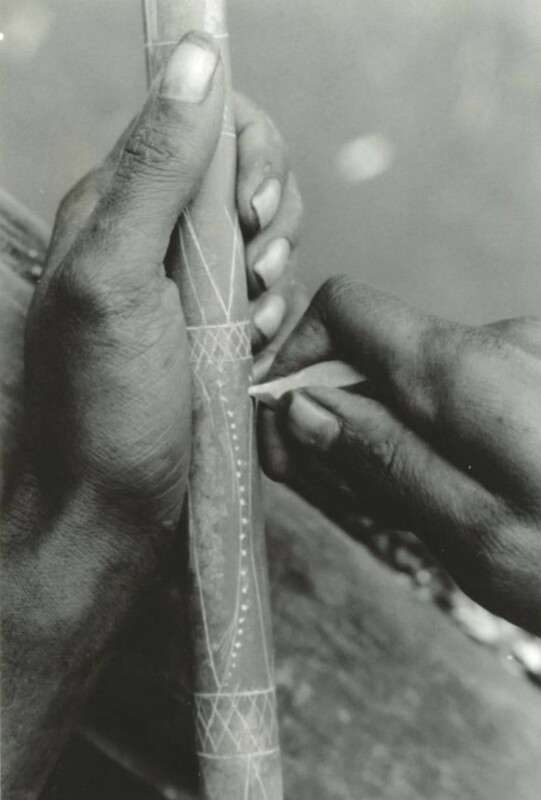 The Wola never hafted stone blades this way. 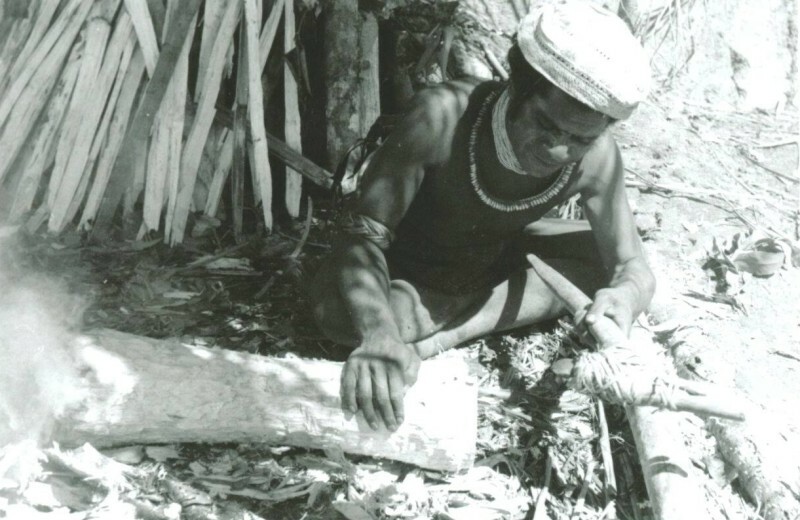 Axe heads were in short supply, being trade items rather than locally manufactured. 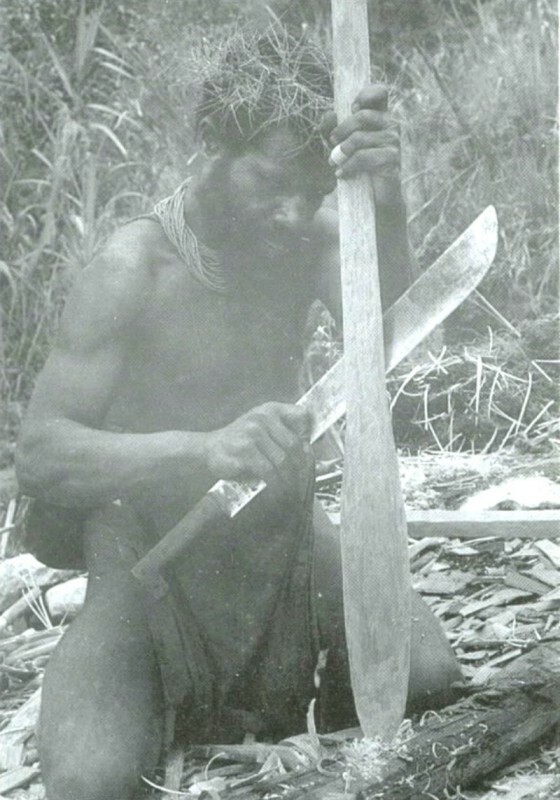 Due to their relative scarcity and their multifunctional importance, they were carefully looked after; an axe head frequently lasted a man's lifetime and beyond, though hafts and bindings were mended and remade fairly frequently (Plates 12, 70). 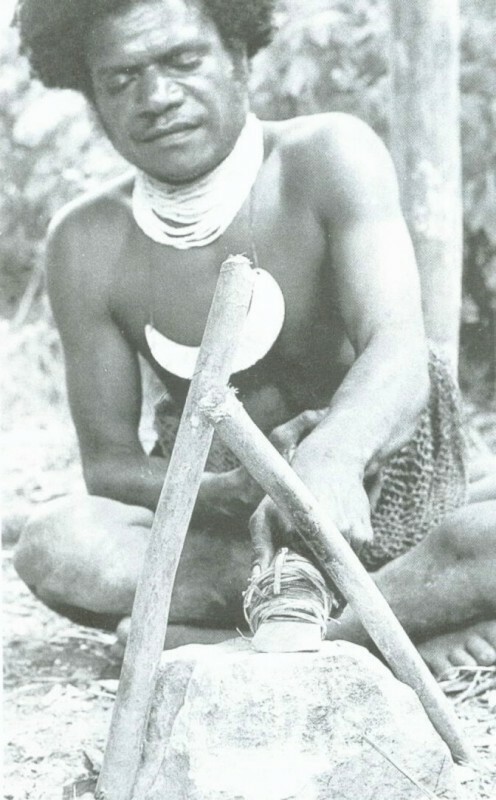 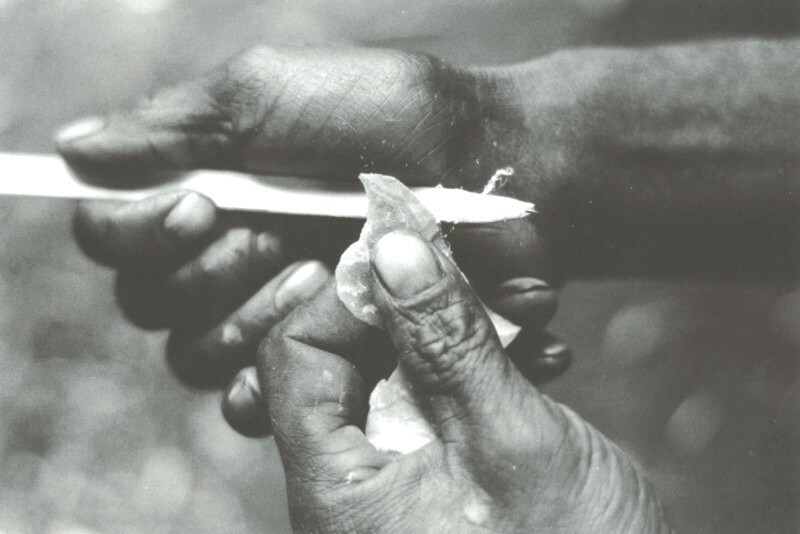 Two types of ground stone knives have been documented elsewhere in the Highlands though these did not exist among the Wola; a machete-type polished stone knife for cutting scrubby ground cover in preparing gardens, and a flake knife for cutting, planting and harvesting crops (Golson 1977a; Pospisil 1963). 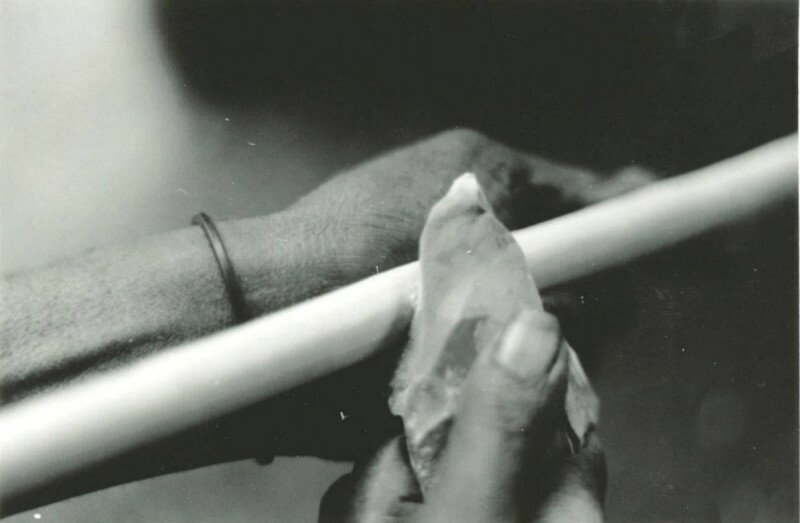 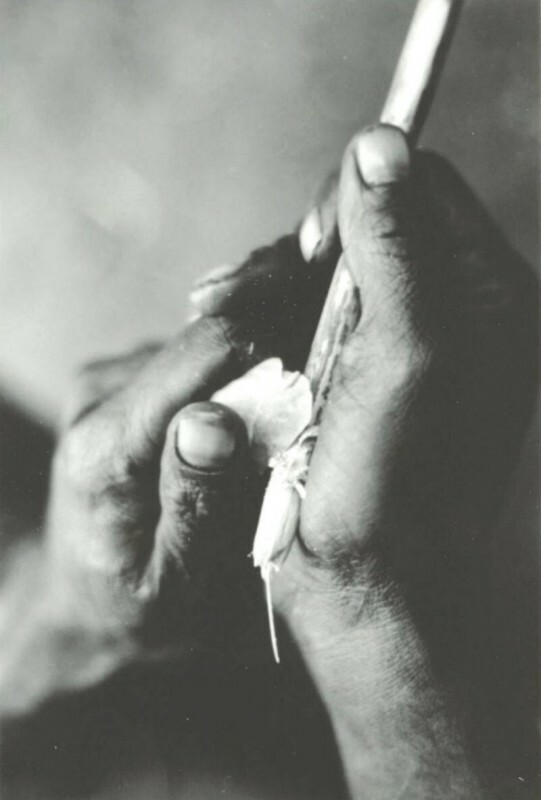 Flaked stone tools were an integral and important part of the traditional material culture of the Wola. 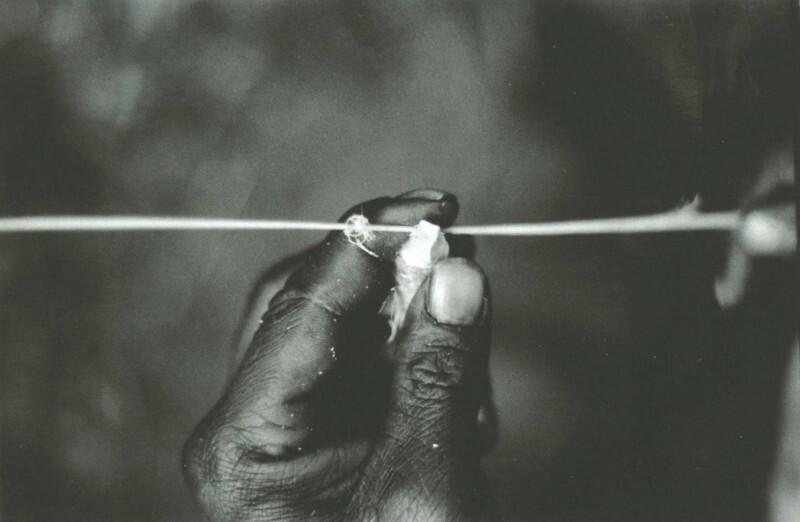 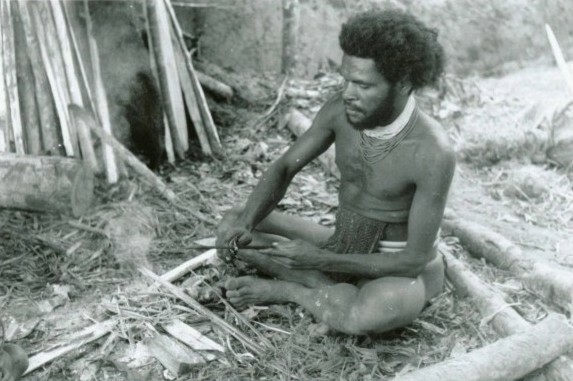 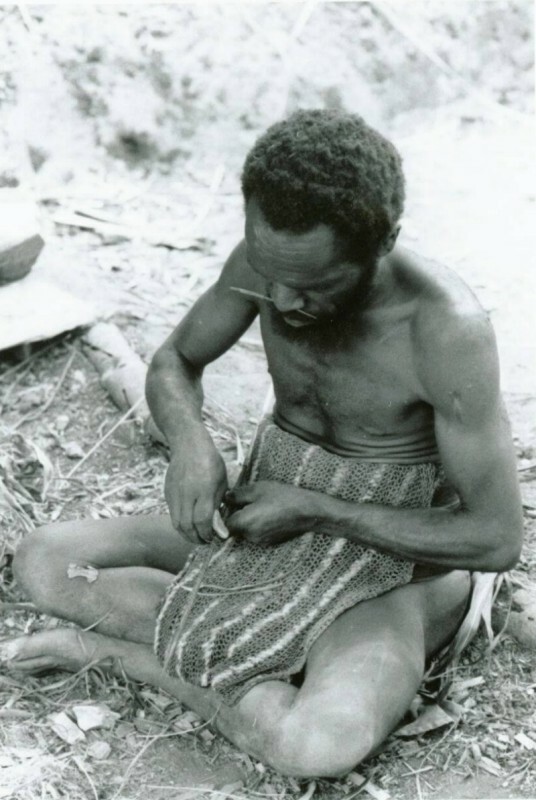 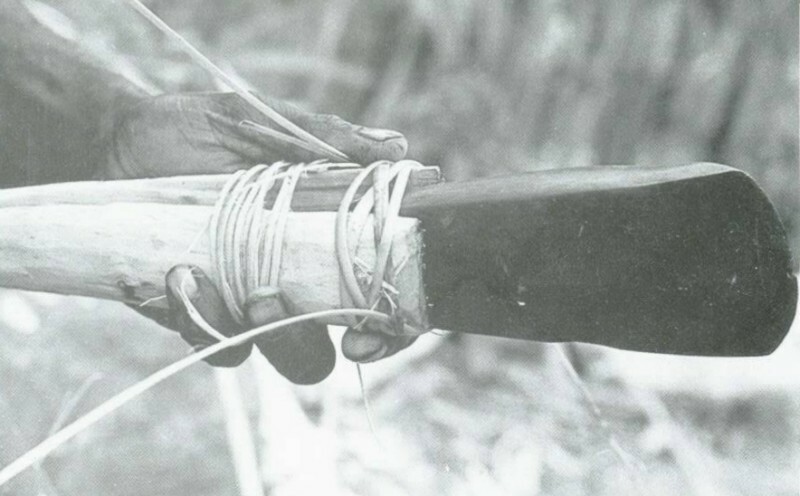 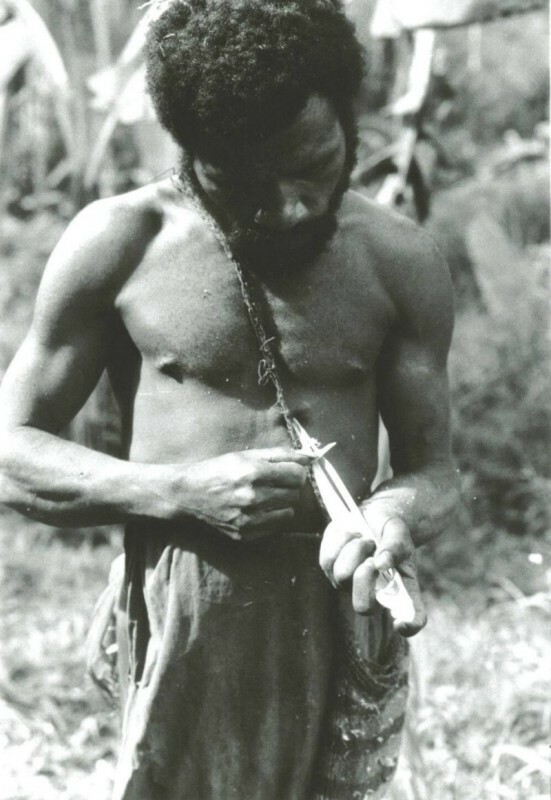 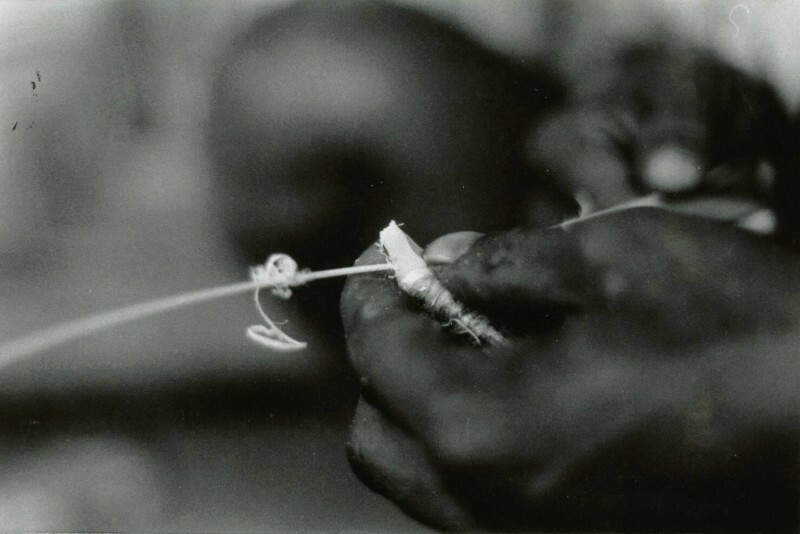 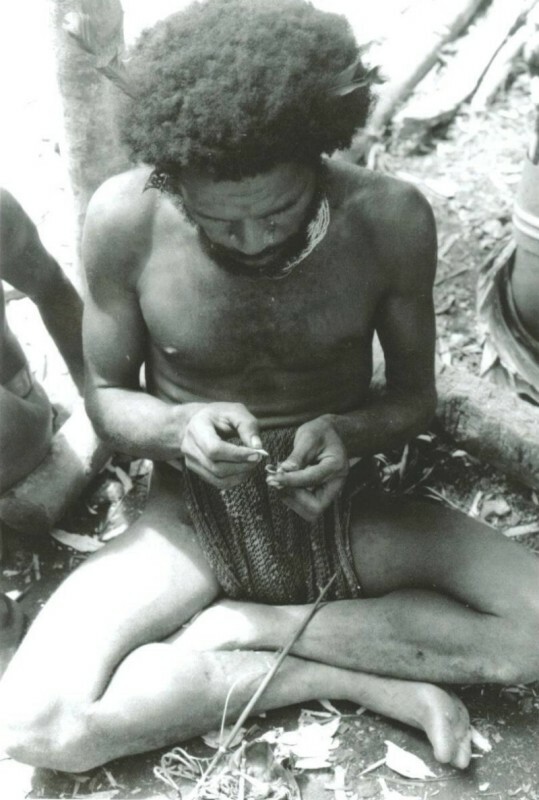 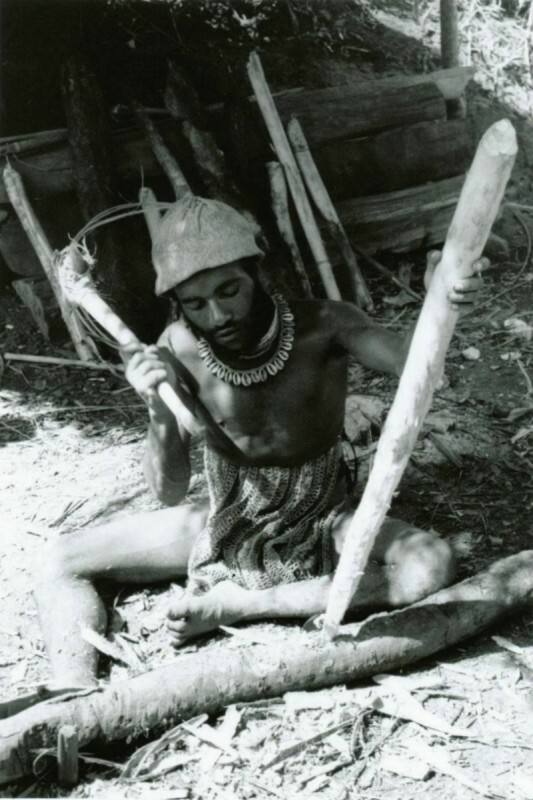 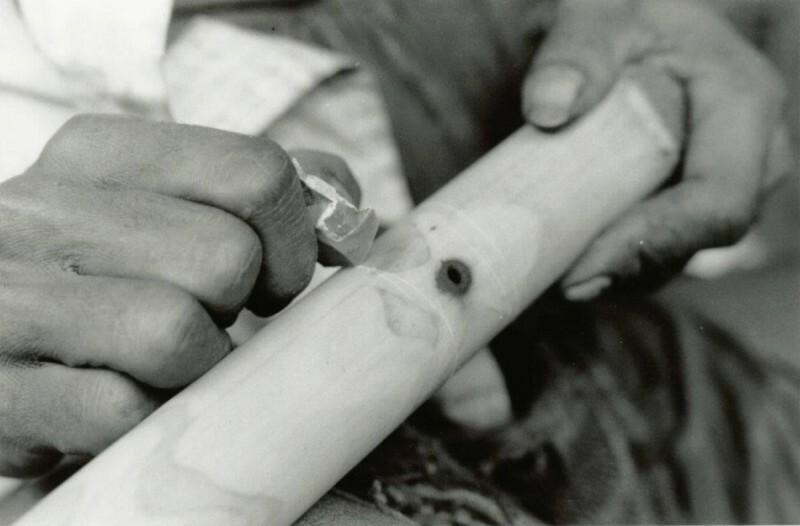 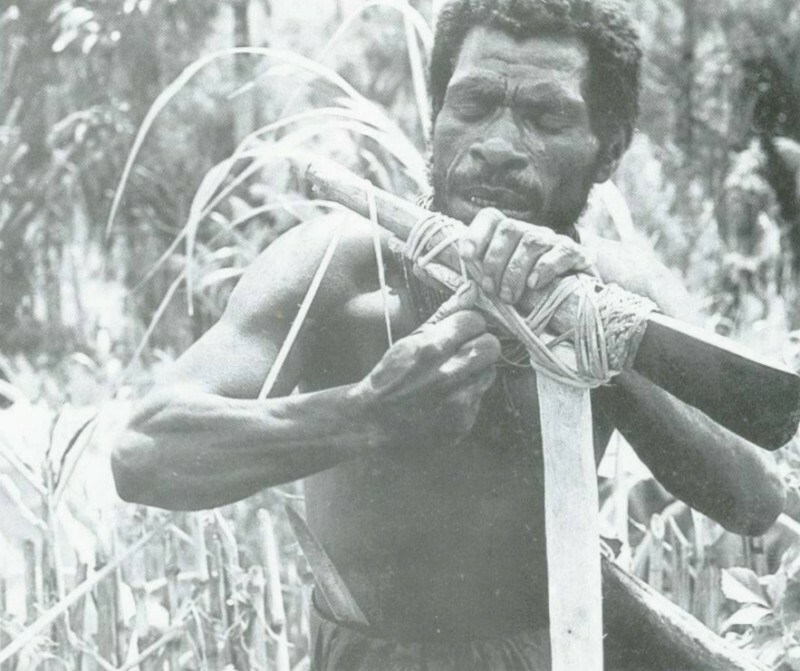 They were used routinely up until the 1980s throughout the New Guinea Highlands (Sillitoe 1982; 1988; Strathern 1969; Watson 1995; White 1968; 1979; White and Thomas 1972; White et al. 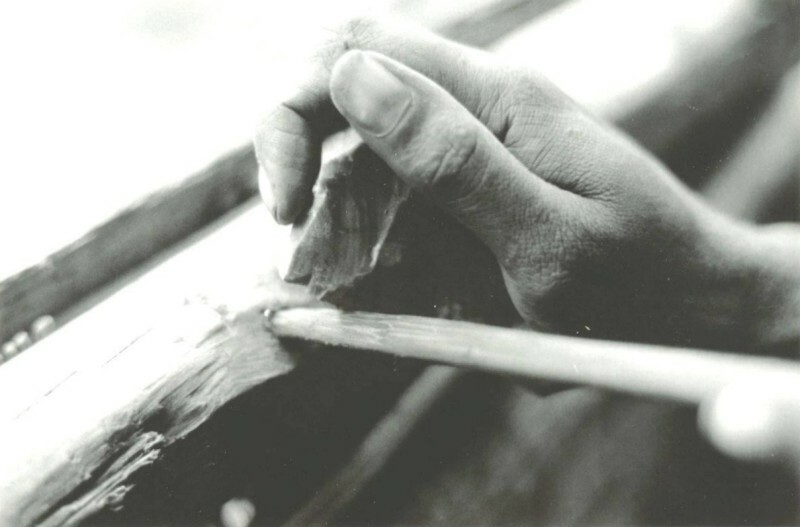 1977) and may remain in use in certain areas today (Hampton 1999). 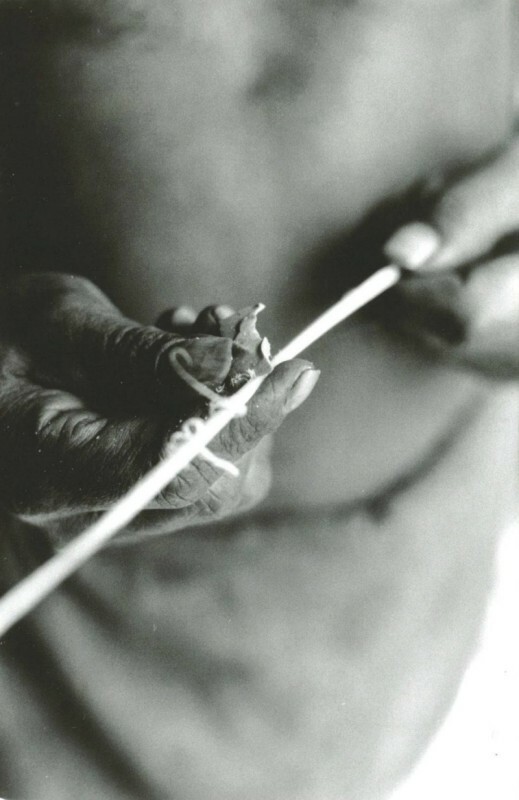 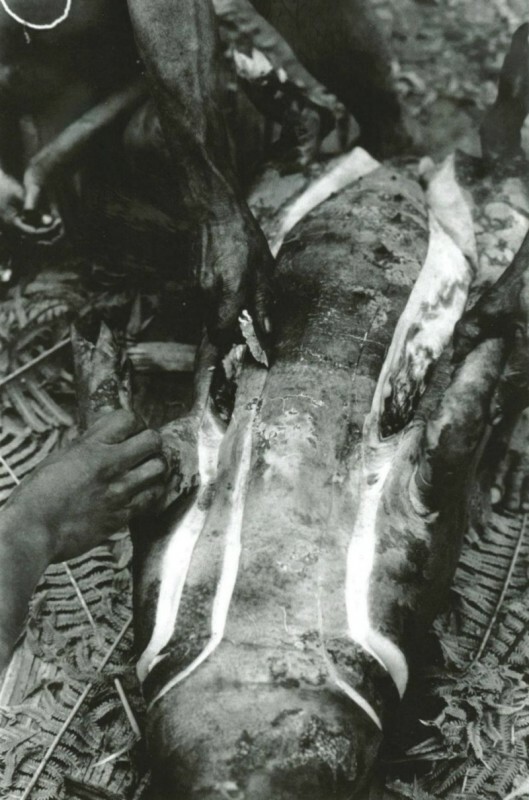 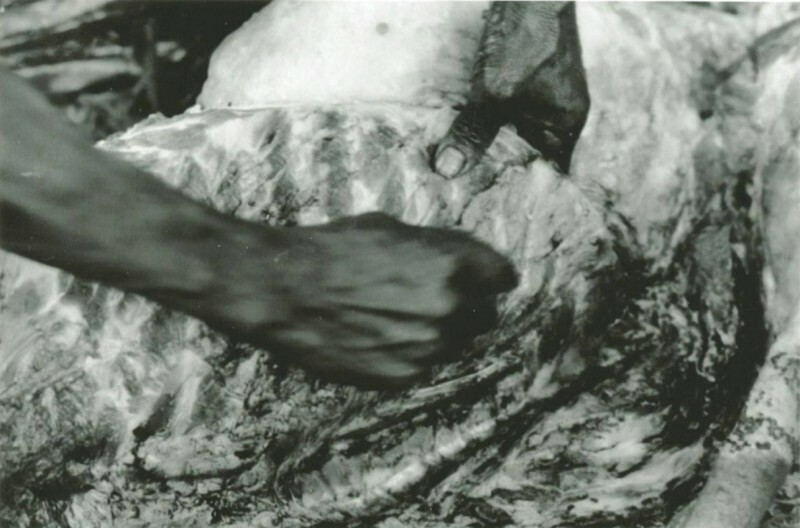 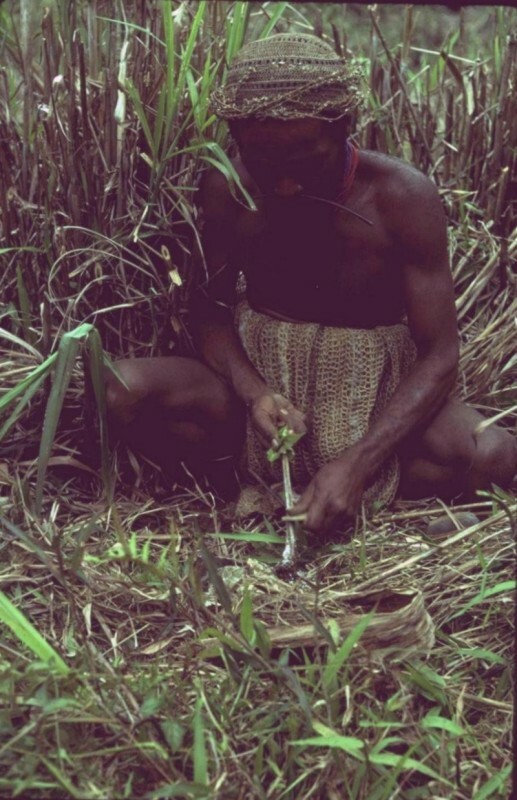 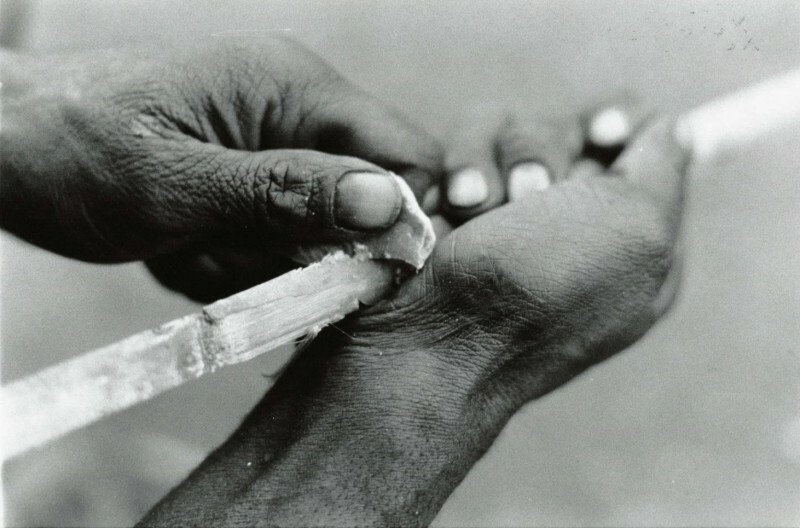 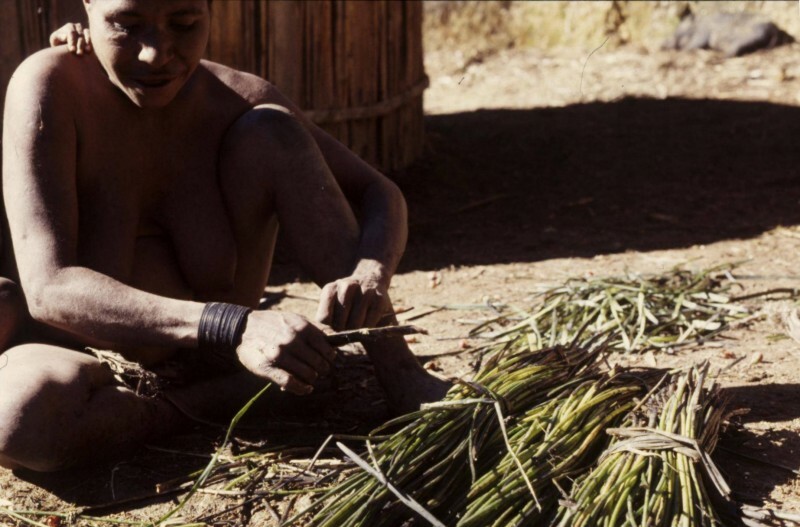 They were used directly in food preparation, notably for butchering pigs, but their real importance to the Wola lay in their role as manufacturing tools; they were used into the 1980s, well after the introduction of steel axes and razor blades, in the manufacturing process of over half of all items of material culture including most tools, weapons, consumption utensils, musical instruments and many body ornamental items (Table 2 and Plates 6-69). 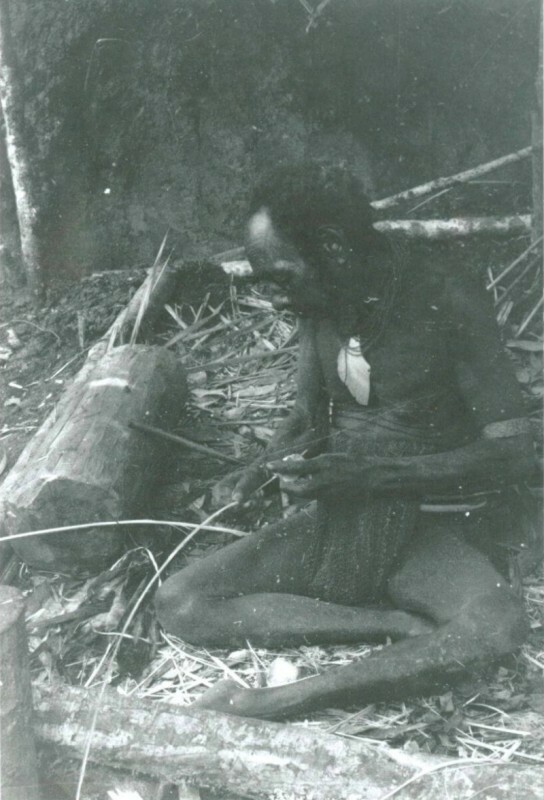 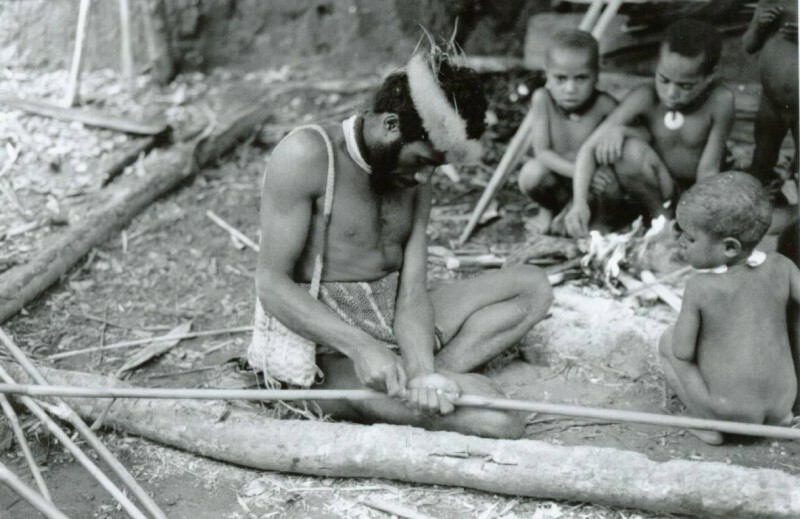 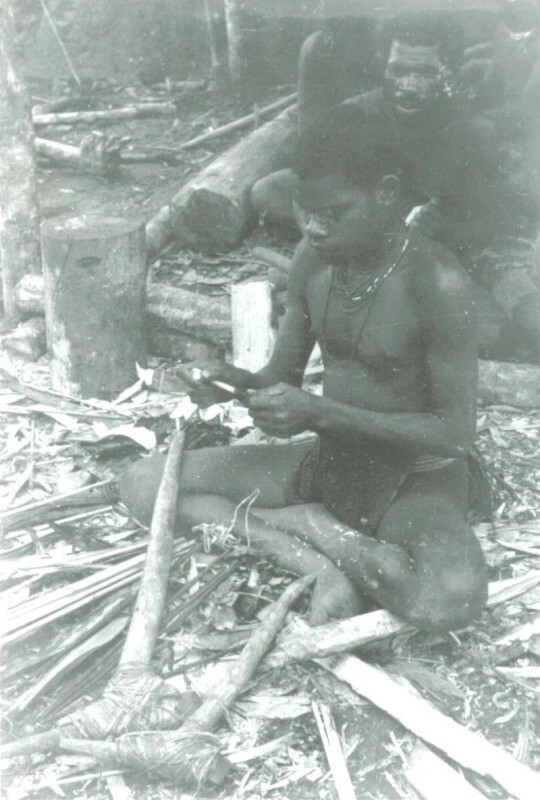 Other raw materials used to make tools with uses comparable to chert flakes included bamboo, bone, animal teeth, claws and tusks (Plates 24, 75). 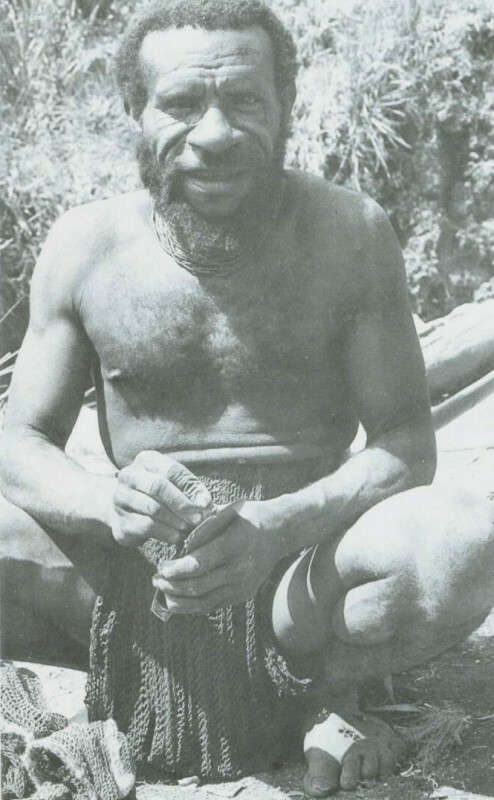 Neither the Wola, nor other groups of highlanders categorised stone tool use and waste material in the same way as modern archaeologists. 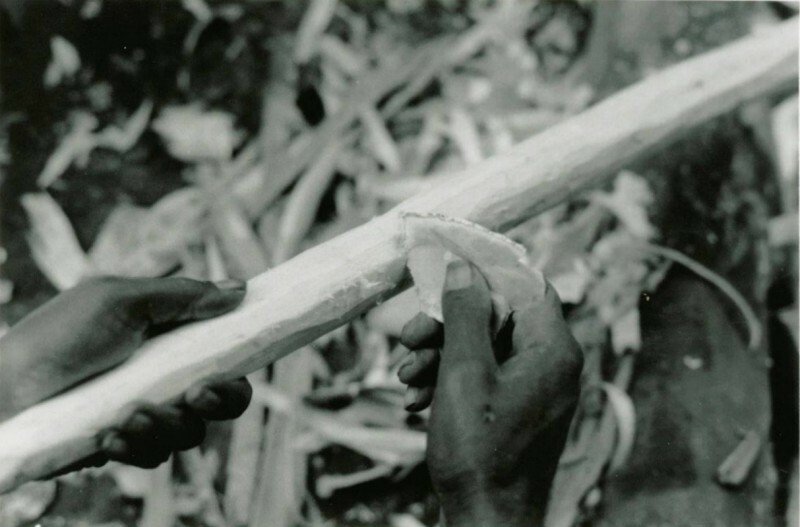 No distinction was made between flakes and cores, and an artefact could be used for many purposes whatever it was or looked like. 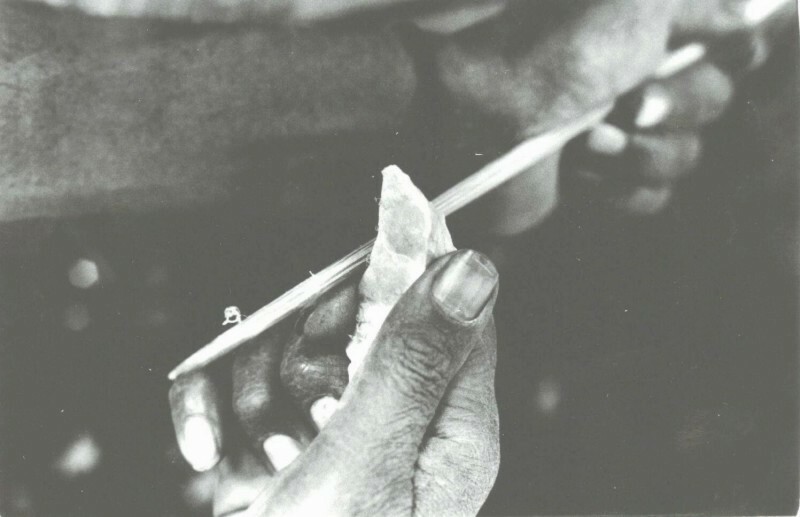 For example White (1979) explained that people saw pieces not as single tools, rather, as pieces of stone that could be applied to a range of tasks. 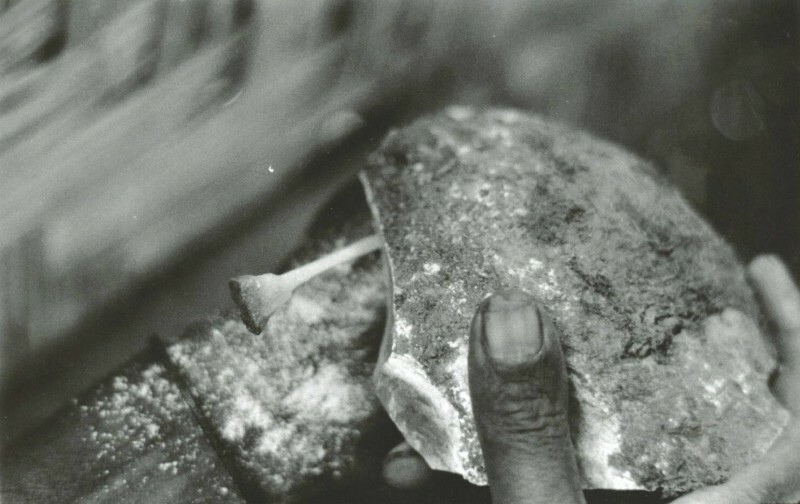 He suggested that one piece could be used as a knife, a plane, a core, a hammer and a cooking stone, at different moments in its use life. 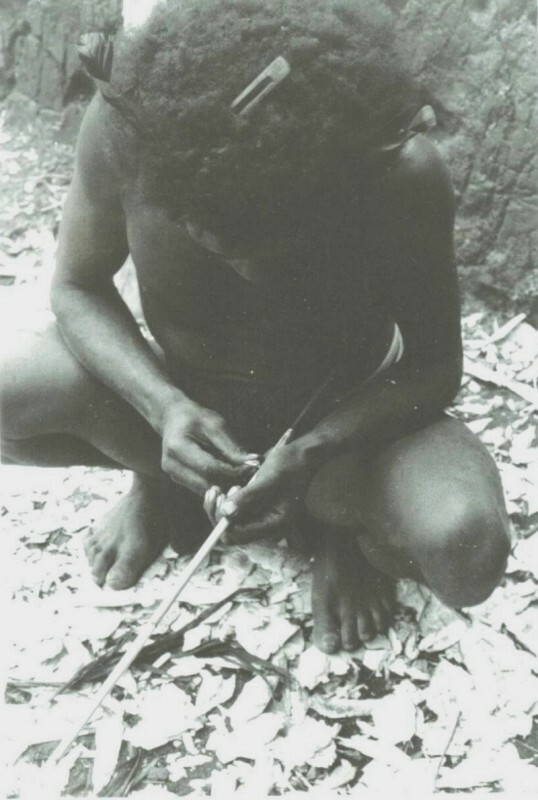 Places where the Wola carried out their stone tool working varied. 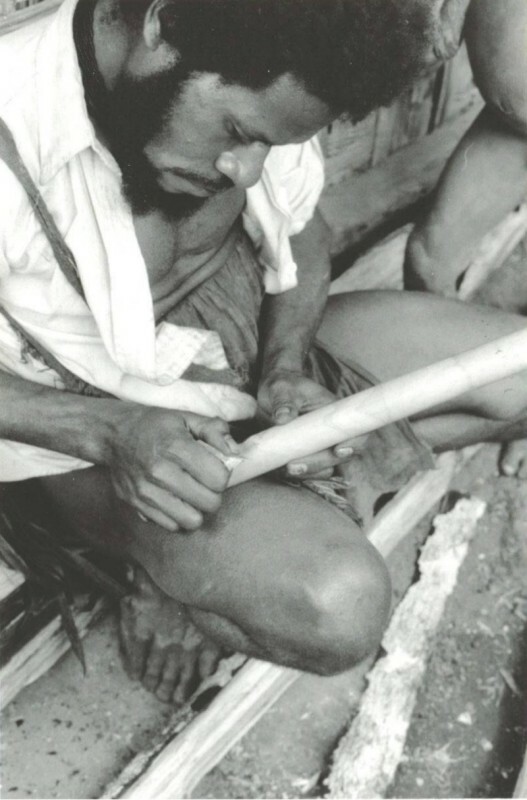 If they were working with a material such as wood which leaves no dangerous waste, they might work as they walked about. 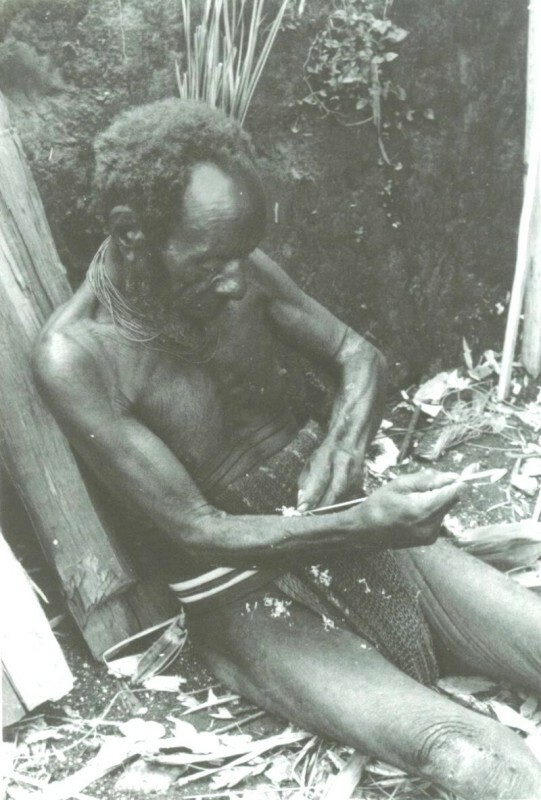 At other times, they worked in the corner of their house or houseyard. 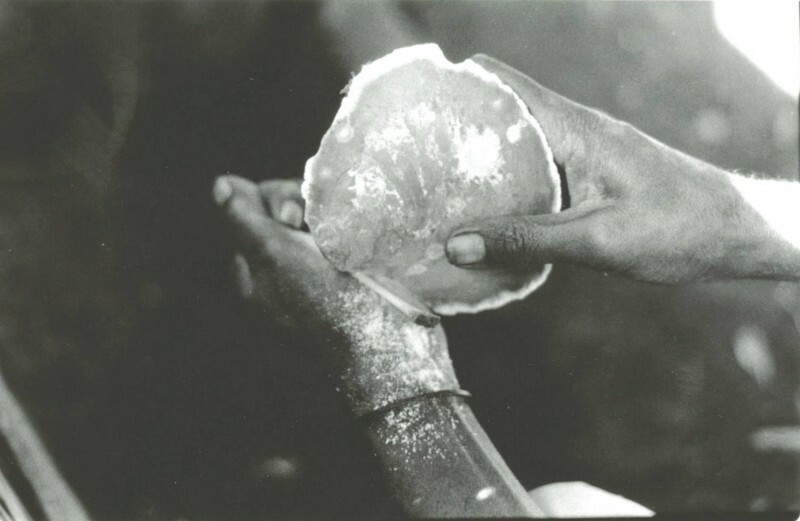 Flaked stone, though constituting a vital part of the traditional material culture, was not afforded high status by the Wola, they considered it necessary but uninteresting. 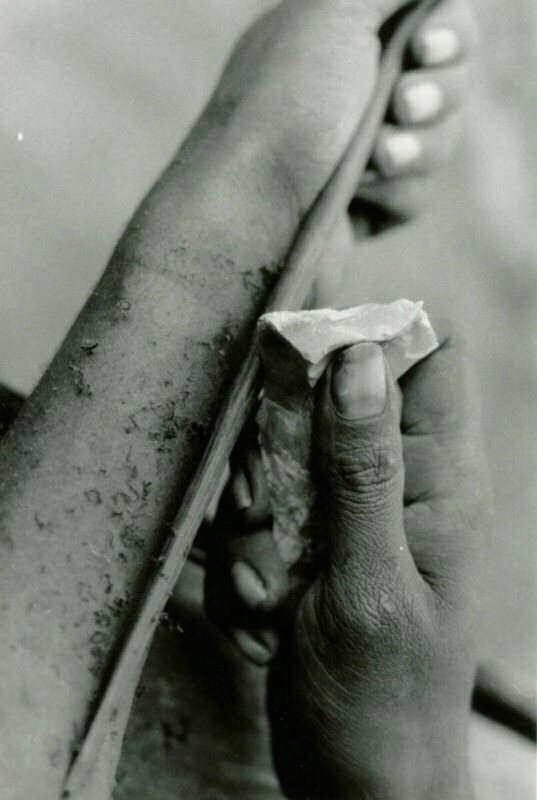 Whether chert tools ever had status or whether their status was usurped a long time ago by the spectacular and multifunctional polished stone axe is a matter for speculation.